The maturation of the fashion resale industry greatly aids counterfeiters’ global scaling. They have a goal clearer than ever - if they can fake it good enough, they can sell it - legally, authentication verified. While genuine products are subject to limited production or termination of production, replicas can stream freely as much as the demand sets in. 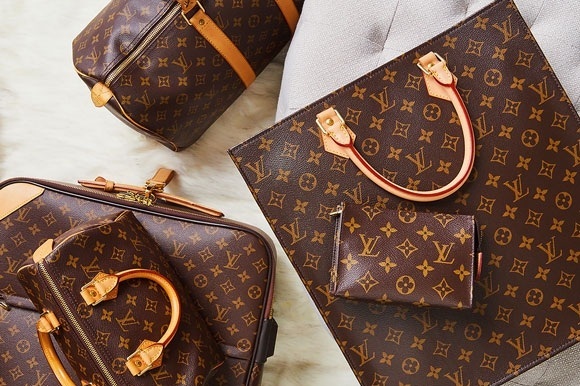 I was both startled and impressed by counterfeiters’ new take-on of the covetable yet discontinued semi-vintage Louis Vuitton bags in the 1990s and 2000s. They are not household stables such as the Neverfull, the Alma, the Speedy or the latest Pochette Metis or Petite Malle, but each has its own cult following and significant resale value high enough for counterfeiters to make a fortune. What’s worse, Louis Vuitton bags made about 20 or 30 years ago are relatively simple in construction as counterfeiting was not as rampageous as nowadays, therefore, more vulnerable to a cutting edge re-make. Take a look at the photo comparisons of the real and newly knocked off Ellipse backpack. The details indicate the bag was counterfeited probably in recent few years rather than when it was still in the market between late 1990s and early 2000s. A genuine Ellipse backpack does not have brand stamp at its back. The replica’s interior is visibly inferior. I used to assume that vintage Louis Vuitton bags were easiest to authenticate because their fake counterparts decades ago were just so poorly made. However, if counterfeiters are tracing back older models, these less mainstream styles can become as deceiving as the contemporary replicas. Here is a short list of semi-vintage discontinued Louis Vuitton bags that I’ve seen emerging from the counterfeiting market. I hope this helps a little!